This course is accredited by the California State Fire Marshal’ Office for the Fire Service Training and Education Program (FSTEP). After completion of this course, participants will receive their CSFM River and Flood Water Rescue FSTEP certificate. This course meets the requirements of NFPA 1670 Standard for Operations level Technical Rescue Incidents and the NFPA 1006 Standard for Rescue Technician Professional Qualifications in the area of water. 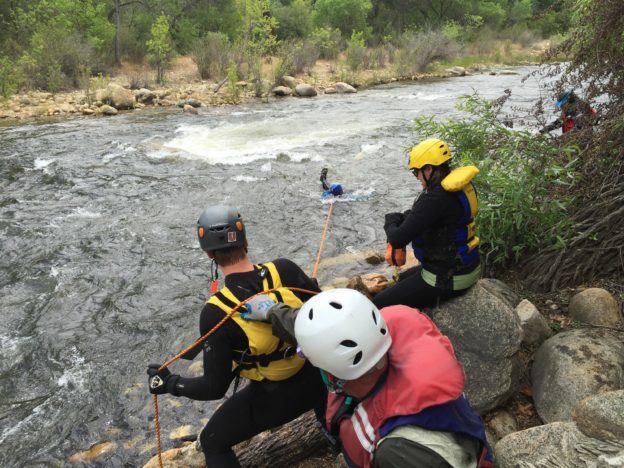 For an internationally recognized certification, please see the Swiftwater Rescue Technician course.